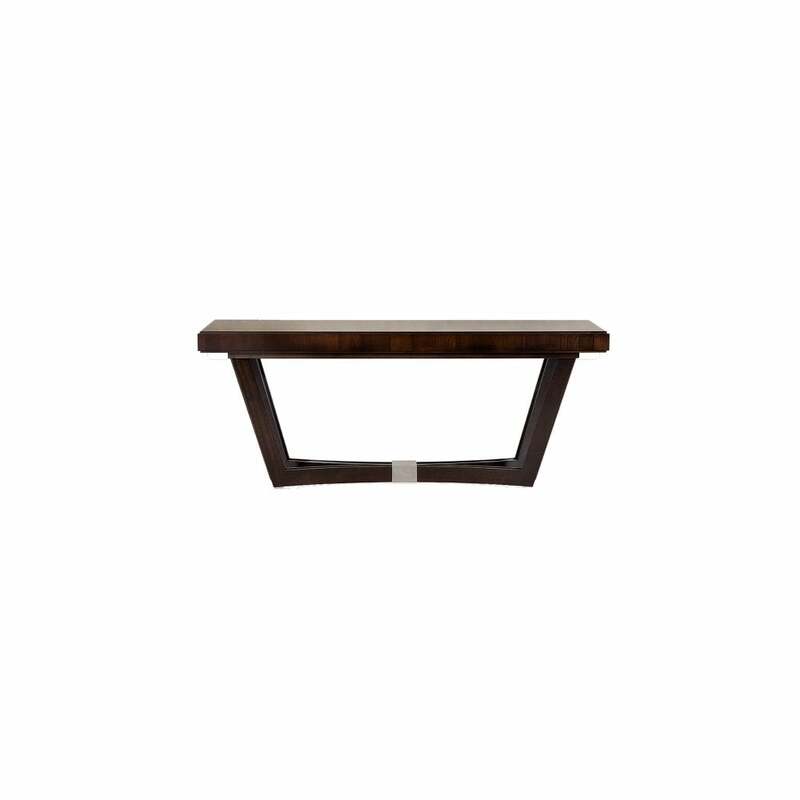 Simple styling but nothing lost in impact, the Vendome Console holds it's own as a striking piece of craftmanship and design. The rich, glossy cherry veneered table top has immediate appeal through it's chunky, deep dimensions, supported by a solid beech base frame, which is eye-catching in it's unique styling. The narrow, angular connected legs creating interest, whilst the decorative glossy chrome metal appliques are a beautiful contrast to the dark wood, adding that little touch of light and reflection. A classy, smart addition to your living space, ready to be accessorised with a stunning table lamp, statement vase or cherished framed photograph.